Recently I wrote about the hermeneutical principle of trusting what the Bible plainly says - in other words, a literal interpretation of Scripture and letting Scripture interpret Scripture. It is my belief that if Christians adhered to this principle there would be few if any divisions in the Church. Approaching Scripture with a certain humility is also important. We should tremble at God's Word, not act as though we are the masters of it. Don't assume you've figured it all out because none of us have. The strongest evidence I see demonstrating that someone knows the Scriptures inside and out is that they can clearly articulate the Gospel of Grace, are producing good works, and are exercising the fruits of the Spirit (especially love, gentleness, and self-control). Their ego diminishes with time as their life is poured out like a drink offering (John 3:30, Philippians 2:17). Yet often I encounter Christians who are haughty and convinced of their own superior understanding. Their speech is argumentative, provoking, and hateful and whether intentionally or not, they sow discord, create fear and mistrust, and cause people to abandon their hope. With this in mind, I wanted to address a few interpretive problems that are cropping up lately in regards to the letters to the Seven Churches of Asia (Revelation 2-3) and how trusting what the Bible plainly says can solve them, or, at the very least, bring us to a deeper understanding of the message God was trying to convey. Here we see Jesus' death and resurrection clearly stated, but most importantly, we see the propitiatory nature of Jesus' death emphasized. Your sins have been forgiven through faith because of Christ's blood. It isn't enough that Jesus died and rose again, but He died for your sins (Isaiah 53:5, Matthew 20:28, John 1:29, 3:16-18, Romans 3:25, 1 Corinthians 15:3, Galatians 1:4, Hebrews 10:12, 1 Peter 2:24). Don't forget this because it's the Gospel. Don't let anyone steal this hope from you. This is the foundation Paul speaks of in 1 Corinthians 3:11-15. Side note: It seems that most interpretive problems with Revelation occur when people allegorize it without warrant and neglect the book's very first chapter. For example, full and partial preterism can largely be ruled out by the very first verse (see Revelation 1:1; and also Revelation 1:3, 19, 4:1). Yet preterism remains a "scholarly" favorite. Not because of a faithful adherence to God's Word, but because of textual criticism, allegorical license, and professing oneself to be wise, in my humble opinion. 2. The Gospel is the central theme in the letters to all seven churches and many Christians completely miss this. To each of the seven churches it is said that the one who overcomes will obtain the promised reward (Revelation 2:7, 11, 17, 26, 3:5, 12, 21). However, the passage itself does not define what it means to overcome. We now have a dilemma. The natural mind interprets "overcome" as a challenge to perform or do better, but that would be a critical exegetical error. Under no conditions may we allow our own fears and emotions to interpret Scripture. Scripture must speak for itself because the heart is deceitful above all else (Jeremiah 17:9) yet God's Word is truth (Psalm 119:160, John 17:17). The lawless and legalist alike interpret Scripture through an emotional or fleshly lens and that doesn't do anyone any good. If we stumble upon something ambiguous in Scripture the answer is not to assume a meaning, but to first see if some other Scripture contains the answer. So then, does Scripture define this word for us? Who overcomes (nikaó) the world? Answer: Jesus. Why do we overcome (nikaó) the world? Answer: Jesus. How do we overcome (nikaó) the world? Answer: Faith in Jesus. And they overcame [nikaó] him because of the blood of the Lamb, and because of the word of their testimony; and they loved not their life even unto death. The sevenfold repetition in Revelation 2-3 of "he who overcomes" is a clear reminder that regardless of whether or not someone identifies with the Christian religion, the only people getting in Heaven's door are those who trust in Christ alone for salvation. The way is narrow. 3. 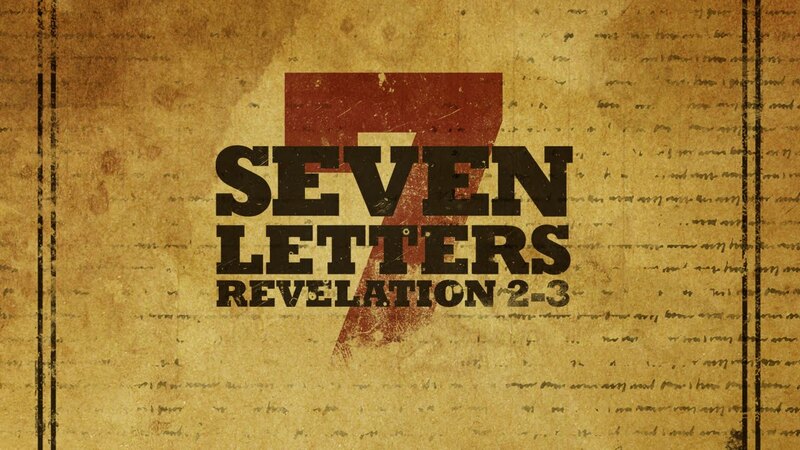 It is a critical mistake to assume that everyone spoken of in Revelation 2-3 was a Believer. These letters were written to local churches. Local churches are composed of both Believers and unbelievers and this was just as true then as it is today. Please recognize the difference between the big 'C' Church (the Body of Christ) and a little 'c' church. They overlap, but are not the same thing (Acts 20:30, 2 Corinthians 11:13-14, 1 John 2:19). Not everyone who calls themself a Christian actually believes the Gospel. There are many who have never acknowledged their personal need for Christ. There are many who believe Jesus is just one of many ways to Heaven. There are also many who mistakenly believe that good people go to Heaven and don't recognize the propitiatory nature of salvation. First, the community there is told their works are neither cold nor hot. A certain mixture is in view and the only salvation-negating mixture that Scripture describes is believing that you are saved by both grace and works (Romans 11:6, Galatians 5:1-12). I wish that you were cold or hot. We don't have license to simply assume Jesus was using a bit of satire and didn't really mean what He said. He made an emphatic statement that the Laodiceans were in real danger because they were neither cold nor hot. Jesus said that He wanted them to be one or the other, which is why these words are not metaphors for good vs. bad, passionate vs. apathetic, or in vs. out. The message is clear: keep the entire law perfectly (Leviticus 18:5, Matthew 5:48, James 2:10), which no one can do (Romans 3:20, John 7:19), or acknowledge your desperate need that only God can satisfy and let Jesus in! The Gospel is not a message about bad people becoming good nor is Christianity just pointless do-goodism. It is a message of dead people being made alive again (Luke 15:32, John 5:24). Goodness is just an effect of dead people who have been brought back to life. The Laodiceans' problem was not that they weren't good enough because a dozen Scriptures state quite emphatically that no one is good enough (that would necessarily include the uncondemned Philadelphians). Their problem was that they were just flirting with Christianity from the outside. They never placed their faith in Christ for salvation because they didn't realize their need. Second, Jesus says He will spit this church out of His mouth. Liquid in the mouth is not part of the body. It is in the body, but not of it. Isn't that self-evident? For you say, 'I am rich, I have prospered, and I need nothing,' not realizing that you are wretched, pitiable, poor, blind, and naked. I've seen some Christians of late wantonly applying this verse to modern prosperity doctrine, and there might be some outside application to that situation, but this Scripture was first and foremost written to self-identified Christians who were not aware of their personal need for Christ. These kinds of Christians number in the millions. They think they are right with God because they are good citizens or because they outwardly obey the Ten Commandments or because they attend church or have wealth or skills in the service of God. They are completely fooled and deluded. They don't recognize their inherent childlike need for what only God can provide (Genesis 8:21, 1 Kings 8:46, Psalm 14:1, 53:1, 143:2, Ecclesiastes 7:20, Isaiah 64:6, Romans 3:9-11, 23, James 3:2, 1 John 1:8-2:1). I counsel you to buy from me gold refined by fire, so that you may be rich, and white garments so that you may clothe yourself and the shame of your nakedness may not be seen, and salve to anoint your eyes, so that you may see. If you still read this letter as a plea to give more, perform better, clean yourself up, or stop smoking then you are indubitably missing the point. Nice job, Gary! One question, through: do each of the church's represent ages of the church? Thank you, brother! I don't personally think so. I know some good arguments have been put forward for that theory, but it isn't one I find to be persuasive. I believe they represent the seven actual churches in Asia Minor, but have applicability for all Christians throughout time. Even today there are Philadelphian churches, as well as Laodicean. Great analysis in this article. I appreciated it. I saw someone else make a connection with the writings of Paul where the apostle said that the churches of Asia had turned against his teachings. (I think it was Robert Breaker now that I think about it) If that is true, then the letters to the churches may be trying to bring them back to saving faith. That they seem to represent the different church types we have now (and have had in the past) may just be because these are 7 common types of issues people face as believers. Great thoughts Kris. If you happen to find that video or study I would be interested in seeing it myself. Man, oh man .... A M E N and Maranatha ... I am going to share this three times! great study Gary. Love that final pic. 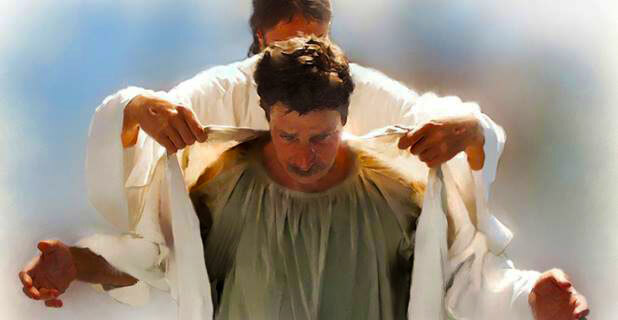 The look of humility on the face of that man, knowing he is being clothed by the King of Kings and Lord of Lords, despite his unworthiness (or that is how I imagine it anyway). We have a mighty saviour!!! "Although my memory's fading, I remember two things very clearly: I am a great sinner and Christ is a great Savior." Very well articulated Gary...and your conclusion nails it! Awesome Gary. Right on. Thank you. THIS IS Critical to understand! I love it when the Holy Spirit reveals those other verses to others. Bible study is so crucial- I'm so blessed by this reaffirmation of God's grace through the gift of faith He's given us. I'm printing this off for my Those Left Behind binder. Blessings to you! Thank you, sister! I added a little more in sections #2-3. You might want to check that out. With all the searching, and hours of study of end time things. Blood moons, Star charts, and planetary movements. Running the Scriptures for more pieces to the puzzle, praying and seeking Gods will and leading of His Spirit to know more about the time we are living in. This study brings us back to what it's all about. It's a long cool drink of living water. It's a blessing brother. I also believe that there is for a lot of people a thin line regarding saved by grace and saved by works that in the end like you mentioned in another study, it can cause division and fights between Brethren in Faith. All the best to you and keep continuing edifying us. I'm so blessed by comments like these. Thank you! Very good reminder, Gary! Nowadays, there's suddenly some extra legalism spreading around the "overcomers" scriptures which is really dangerous. Recently, I have read HamrickCE comment to some of his YT videos that "people have to change into Philadelphia church in order to be in the rapture" LOL. So much misconception out there!! Spiritually dangerous for many as it weakens the blessed hope and stirs up anxiety among true believers. The same problem with Luke 21:36 "to be accounted worthy to escape" this is nothing to "do" to achieve this but already DONE by Christ through faith in Him. To "stand before" the Son of Man is perhaps a hint to the tribulation saints (Revelation 14:1 + 15:2) but the church saints are promised to be SITTING on thrones instead (Revelation 3:21 + 4:4). To be "accounted worthy" is a term for all true believers of Christ, His disciples (Luke 20:35). They are accounted worthy by God alone, not for what they might have "done" to get into this condition or not. That again would be salvation by works theology which is spreading like cancer these last days on many social media channels. Very good reminder, Gary! To perfect your article please check out the historical facts about ancient Laodicea as well: http://www.biblelandhistory.com/turkey/laodicea.html Jesus gives a literal comparison here to the key characteristics of the city! You can compare this to todays' prosperity gospel and easy believism. The "overcomers'" scriptures are often misunderstood by some legalists today, teaching works theology by using them. Recently I read HamrickCE comment on some of his videos that people would have to "change into Philadelphia church in order to make it into the rapture". This is ridiculous and misleading. Much blessings to you, with love! This is a really great article Gary. It is timely, considering the time & the doctrines that are running rampant now-a-days. It's really amazing...the gospel is the foundation. I know how elementary that comment is, but I think so many have tried to make this more difficult than it is....well communicated, IMO. Wow Gary, yet another amazing post, I love when your light shines in such a clear way! Thank you Matthew! Love hearing from you. You're the first I have seen to write about this FACT found in GOD's WORD!!! When I UNDERSTOOD this years ago, it THRILLED me!!! YESHUA literally has done it all for us BUT, we must believe in it!!! Work it out in our lives. Each one of us! Thank you my brother for sharing this treasure!!! God's Word gives life! So many don't see that. I reread your article this morning and I have to say it is the most reassuring and positive article I have read about the 7 churches and our standing in Christ. What an encouragement for the body. Thanks again for your work. Yep. It's well-argued and defended posts like these, my brother, where the spammer-legalist is noticeably absent. Freeeeeeeedom!!!!! Praise the Lord, we are saved by grace! A bit of a non-sequitur, but interesting I thought. The Rev 12 sign appeared on 3915 BC and is of course appearing in 2017. Strong's 2017 - to shine upon, or to give light. Probably reaching, but I thought it was interesting. Interesting connection! There could be something to that. Thank you, Carol. Blessings to you! Speechless. I have no words to describe how on the money this is. Nice job, Gary! Thank you, Greg. I think it's a message of hope that Believers need to hear! I know you are not looking for accolades, but I also want you to be aware of the impact you are having, if anything, to give you strength to persevere. May God continue to bless you. The Lamb did the work, we testify to this fact. 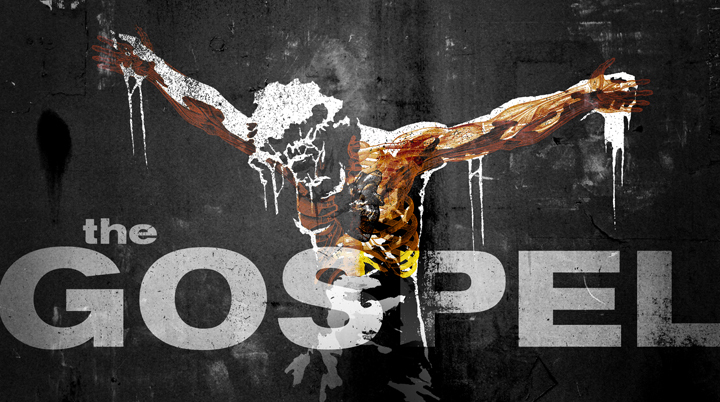 This produces a desire to pick up our cross and to die daily for our Lord. Not for our salvation, but for His victory and Glory. I thank the Lord for you often. Amen and thank you brother for your kind words. Encouragement and prayers keep this going. I concur - it's a beautiful think that's been happening. I can see it, too. For so long I've prayed that the true body of Christ would become one and I think in a week or two it might just happen. Just reread this article....really, really great job! That was so good and enlightening. I do have a question though, what role does works play in our salvation , because we can't deny the many scriptures that speak of works.......Faith without works is dead, we will be judged by our works, and several more? I hope you can explain the role that works do play in our salvation, because it's there, but I think many are confused, thus the divisions like you speak of. May the body of Christ become one as you have intended mighty Lord. May the denominational, ethnic, economic, geographical, experiential and any other differences vanish and create an obvious light to the world around us as we shine brightly for You, beautiful Saviour. Forgive us and help us; we need You more than ever. I love you and can hardly wait to see you. Amen. Dear brother Gary, have these letters been delivered? I mean when/where? We have seen REV 12 come to pass. Did I miss a couple of signs before?